VSO has in recent years been a part of a great many projects concerning traffic technology, traffic planning, traffic forcasts and traffic safety, along with public transport and more. VSO has worked on numerous research projects with the Public Roads Administration as well. 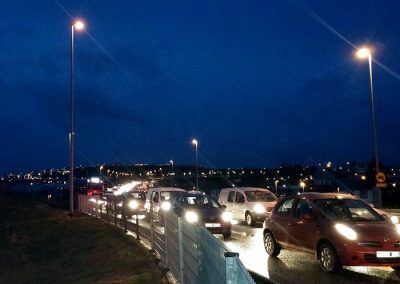 These include one recent and particularly interesting project on a traffic simulation which demonstrates how the use of traffic lights can improve the flow of traffic through roundabouts. 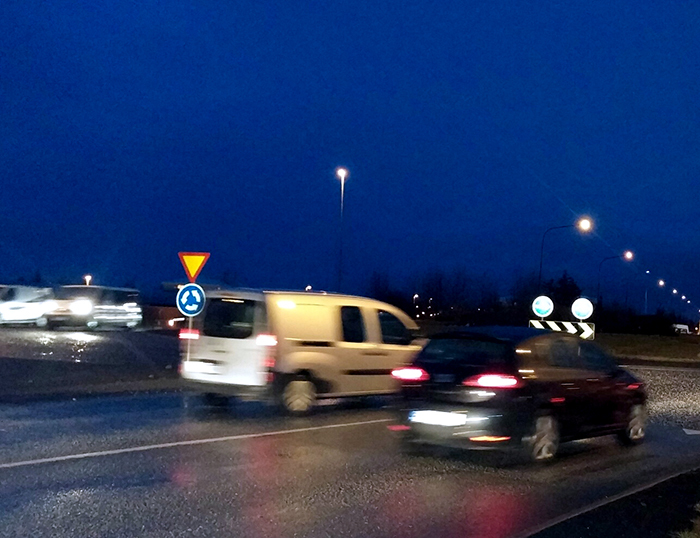 It has not been customary in Iceland to use traffic lights in such a way and no such attempts have been made. However implementations of this idea have been made elsewhere, be it lights on individual branches of the roundabout as well as a roundabout fully operated by traffic lights, i.e. on all branches. This project is therefore meant to be the first input in this sort of discussion in Iceland. 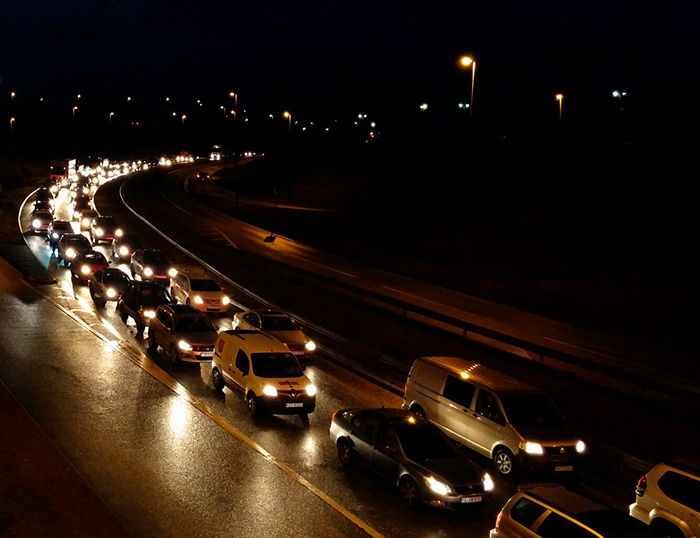 For this project, a real example was selected for inspection, Hliðartorg in Hafnarfjordur, which is located on the junction of Reykjanesbraut, Laekjargata and Hlidarberg, because often during rush-hours, that particular roundabout forms a gridlock. 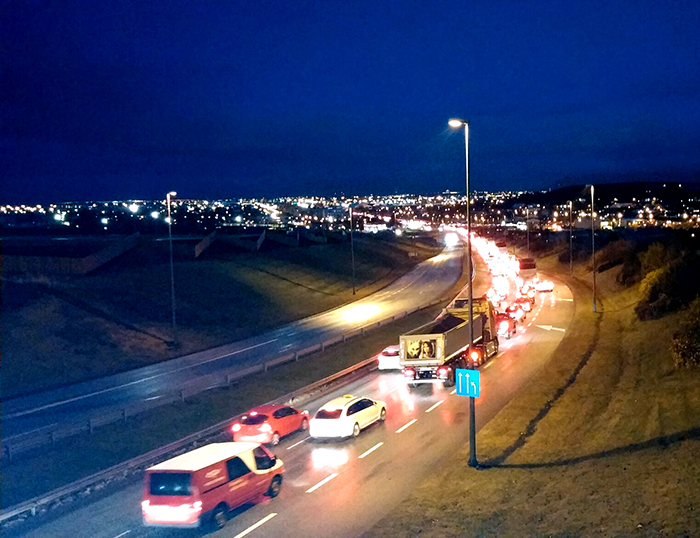 Throughout morning rush-hour, traffic heading south on Reykjanesbraut is minimal, leading to an almost free flow from Laekjargata into the roundabout, and the majority of those are heading left, north on Reykjanesbraut (the 3rd exit from Laekjargata). 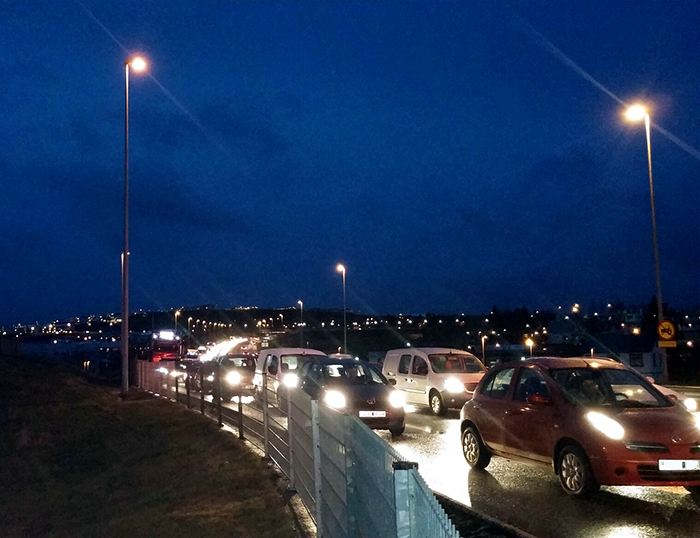 This leads to a near total blockage of traffic from the south of Reykjanesbraut which starts to form long lines reaching as far back as the south of the roundabout on Kaldarselsvegur. 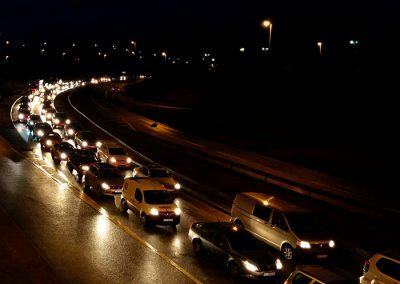 Likewise, cars coming from Hlidarberg have great difficulty entering the roundabout, consequently the drivers are tempted to elect a side road through the Hamraberg residence area to access Reykjanesbraut. 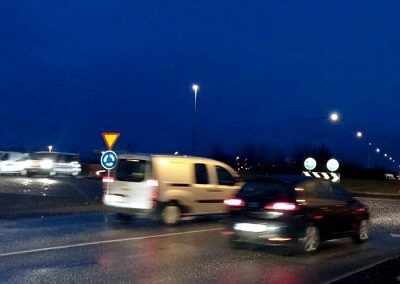 The intention of the project was in a word, to install traffic lights with a brief fraction time at the Laekjargata branch of the roundabout. The goal is to make the traffic flow from Laekjargata more constricted to a set sequence of time and achieve equal flow through the roundabout in its entirety. A simulation of the roundabout and adjacent streets was set up and a census was performed to configure the simulation in order to get a realistic picture of the situation. The result of the project indicates that using this implementation, the total flow of traffic through the roundabout can be improved greatly, the flow becomes balanced, delays are reduced and lines are shortened. It’s recognized that delays on the Laekjargata branch might increase, but delays on Reykjanesbraut south of the roundabout will be reduced greatly, and in that manner, traffic delays as a whole around the roundabout will be reduced. The project was presented at the Public Roads Administration’s research conference in 2015.